Want more Maul News!!! Here is the place to find it. We will scour the net looking for anything and everything related to Darth Maul and the Sith. Need more Star Wars News: Visit StarWars.com, JediNet.com or TheForce.net for all your Star Wars news needs!! 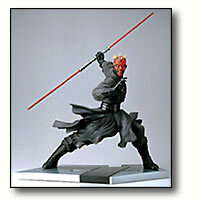 Who can resist that cute little mini-figure Darth Maul? Especially when he comes with his own Speeder Bike and Probe Droids? 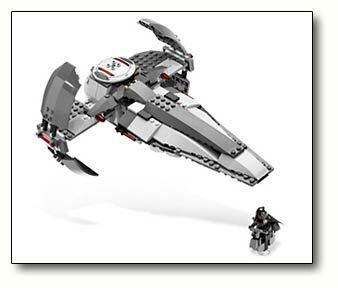 Just in time for Sithmas and for delivery by our own Santa Maul is a brand new version of the Lego Sith Infiltrator. This is the 3rd by our count, and not quite as large as the "big" Lego Infiltrator from a few years ago. No. 7663 has 310 pieces and includes "probe droids and equipment" in the front and the back hatch opens to show the "Sith Speeder." It even has "flick-launching" missles! "The Sith have returned! Darth Maul gives pursuit in the Sith Infiltrator, a sinister starship with folding wings and launching missles. Extend the landing gear and open the hatches to reveal a Sith speeder vehicle, 3 stealthy probe droids, and all the equipment a Sith Lord needs to hunt down his prey wherever they hide. Includes Darth Maul minifigure." 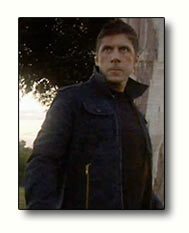 New Ray Park Movie: "The Descendants"
Ray plays the lead role of Charlie Stone... sorta a good guy...but sorta not... It's based on an independent comic series by the same name, and the release is sponsored by Dark Horse [Comics?]. 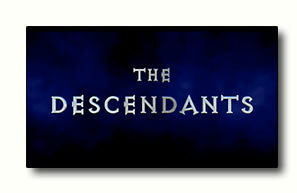 You can view the trailer on YouTube or Stage 6 [DivX]. The Official Ray Park website calls it a "new movie" however, other sources call it other things... so, I guess we'll find out sometime in the future. Ray was interviewed by the G4 Network at ComicCon about this project, along with it's creator. No release date has been set. Don't miss the LAST big Star Wars Convention! Members of the DMEB-2 will naturally be at Star Wars Celebration III in Indianapolis April 21st through April 24th, 2005. Lots to see and lots to do and not nearly enough time ... But here are the Official DMEB-2 SWC3 plans including our traditional "DMEB-2 Dinner" to be held on Friday at 5:00 PM. 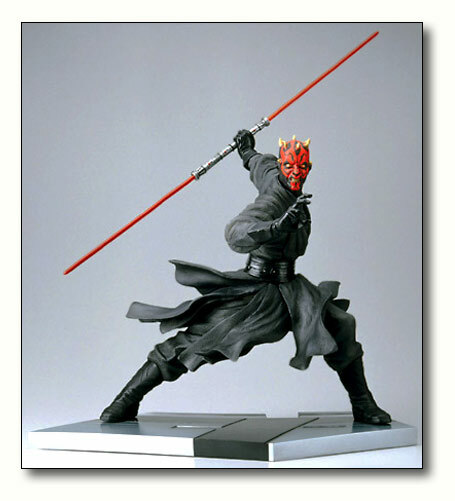 Dark Horse is releasing a new vinyl figure of Darth Maul from Japan's Kotobukiya, Inc. The the 13-inch soft vinyl figure comes prepainted and ready to assemble. Dark Horse Comics will distribute the kit in May 2004, at a suggested retail price of $99.99. Around the DMEB-2, this figure has raised quite a buzz, with it's wu-shu pose and incredible details. 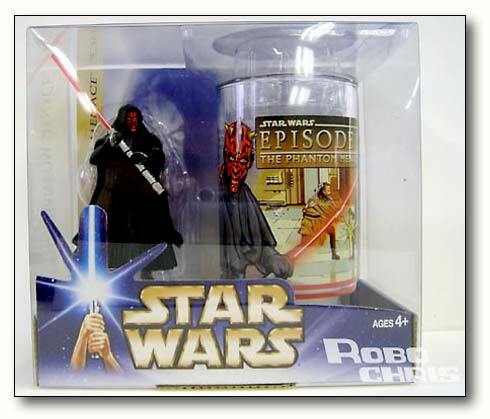 Is there a Maul fan out there that doesn't want one? Target is releasing a series of five collector Star Wars Glasses and Collector Figures, one for each of the movies released. 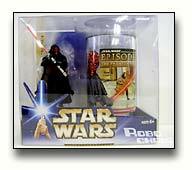 According to StarWars.com "Raise Your Glass to These Figures" - "For the prequel glasses, the one for Episode I has fan-favorite Darth Maul as he appeared on Tatooine." The release date has only been set for "spring" and available exclusively at Target. 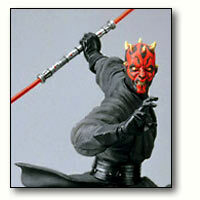 All we can say is that is about time Maul was called a "fan-favorite!" Sheesh! 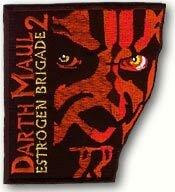 We finally have some DMEB-2 merchandise for sale, thanks to ScottMaul, our Official Maul! Perfect for wearing to the next geek-fest convention!